Many Black families had no choice but to live in these low-elevation areas, creating a pattern of segregation by elevation. 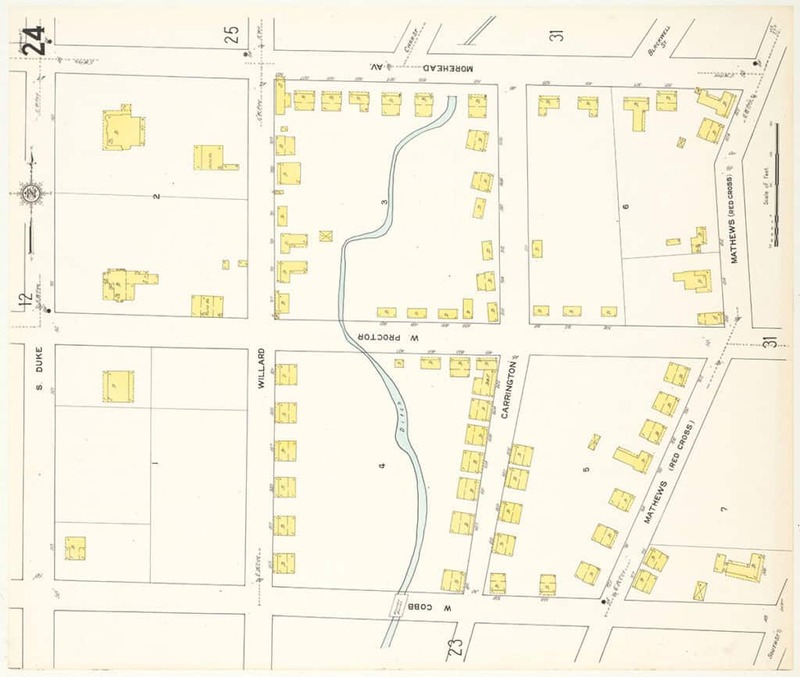 This 1913 map shows a creek flowing through the Bottoms neighborhood, just south of the American Tobacco Company. These creeks were often used as open sewers. Black neighborhoods contained more garbage incinerators and unpaved roads than white neighborhoods, and they received sewer lines later. These discriminatory actions by the city had negative impacts on community health and discouraged investment. White tobacco workers made three times the amount of Black workers. 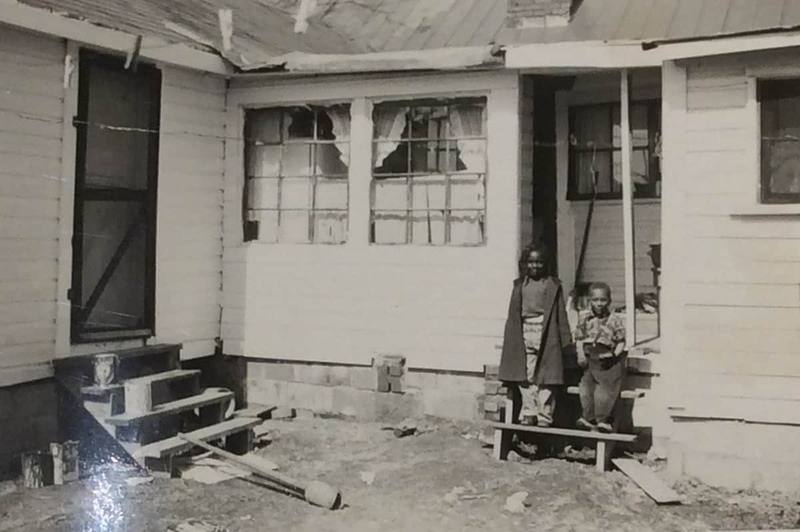 Low wages forced many Black households to settle in the cheapest rental housing, which was often in poor condition. Much of the rental housing in Black Durham neighborhoods was made of salvaged materials from the demolition of older buildings. 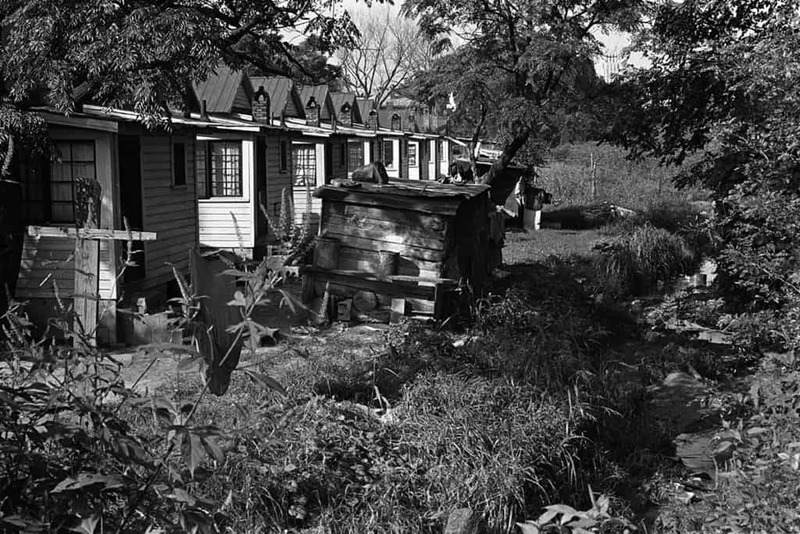 Because the city did not extend sewer lines, people had to use outhouses, like in this Hayti alley in 1960. “I didn’t perceive our house as small back then. The problem, as I remember it, was its deteriorating condition.